The Party of European Socialists condemns last night’s attempted coup in Turkey and welcomes the fact that a democratically elected government was not overthrown by military force. The PES and both of its member parties in Turkey – the Republican People’s Party (CHP) and the People’s Democratic Party (HDP) stand firmly for democracy, the rule of law and the right of the Turkish people to express their will freely. At the same time, Mr Stanishev hopes that the events in Turkey on Saturday night will not be used as a pretext to undermine the freedom of the media and human rights in Turkey. 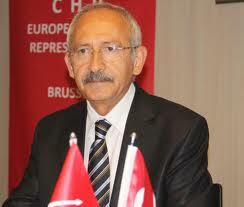 “The PES is committed to parliamentary democracy and political dialogue in Turkey and throughout the world. Free elections are the only way in which a country should choose its government. The attempted coup is a sign of existing contradictions in Turkish society and it is only by fully implementing democracy that the country can achieve the stability that it needs,” added Stanishev. The PES deplores the fact that the attempted coup claimed so many victims, including innocent civilians. The Party of European Socialists and its Turkish member parties CHP and HDP will continue, as they have always done, to support democracy, the parliamentary system and civil rights in Turkey.